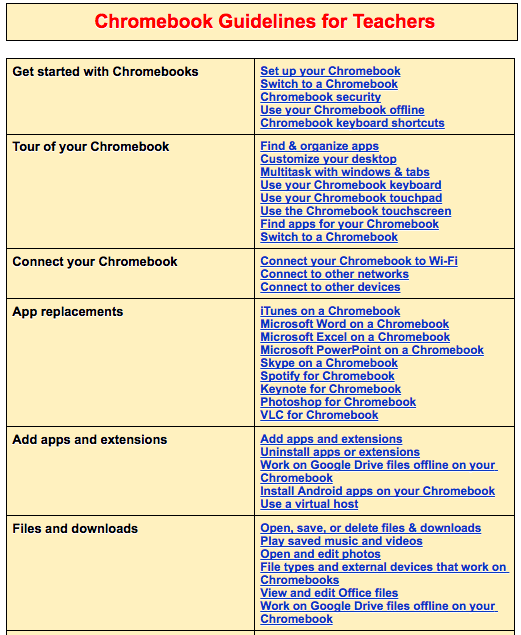 Below is a chart we created specifically for teachers using Chromebooks in their teaching. It features resources we have curated from Chromebook Help and covers almost everything teachers need to know in order to effectively operate their Chromebook. 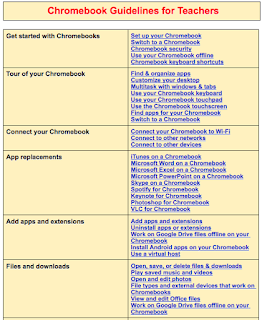 You will get to learn how to: set up your Chromebook, find apps, connect to other devices, install Android apps on your Chromebook, add people to your Chromebook, control who uses your Chromebook and many more. Check it out and share with us your feedback in our Facebook page.